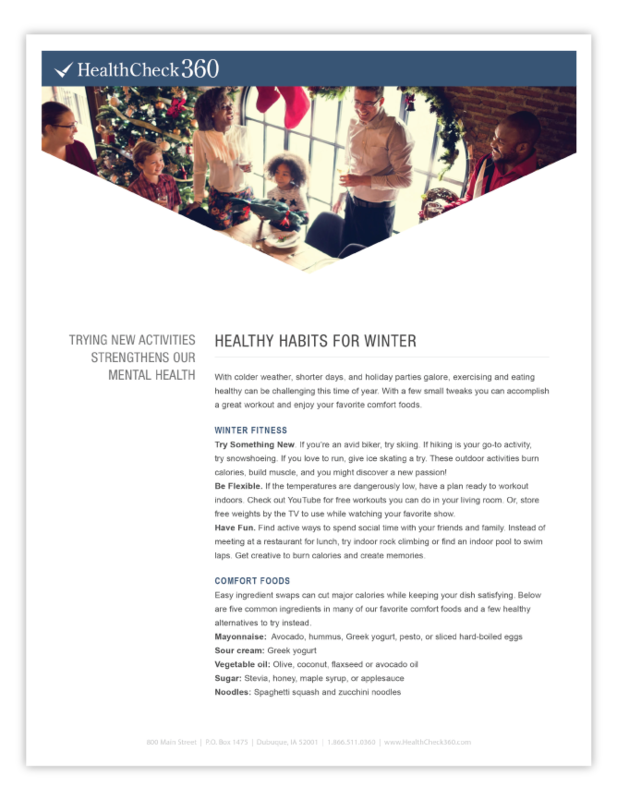 With family dinners and holiday parties, exercising and eating healthy can be difficult this time of year. Get tips on winter fitness and healthy ingredient swaps by downloading this FREE poster. In case you need it, our 2019 Wellness Calendar is here. It gives you an entire year's worth of topics to support your on-site wellbeing program.